Banking rally was led by Bank of Baroda whose stock hit a fresh 17 week high level of 151.90 after the public sector lender reported a more than two-fold rise in Q1 net profit to Rs 528.26 crore. Extending their rally for the sixth consecutive session, the Sensex and Nifty hit their all-time highs today amid rise in banking and auto stocks. 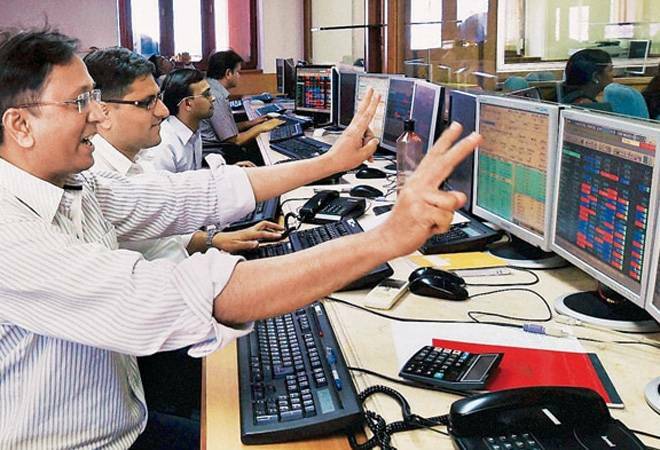 While the Sensex touched 37,533, a fresh intra day high level, the Nifty breached the 11,300 level for the first time ever to reach an intra day high of 11,328. Later, the Sensex closed 0.42% or 157 points higher at 37,494, an all-time closing high level. Nifty too rose 41.20 points or 0.37% to end at 11,319 level. Banking rally was led by Bank of Baroda whose stock hit a fresh 17-week high level of 152.70 after the public sector lender reported a more than two fold rise in Q1 net profit to Rs 528.26 crore. The stock closed 9.92% or 13 points higher at 151.75 on the BSE. Top Sensex gainers were Bharti Airtel (5.13%), ICICI Bank (4.76%), SBI (3.75%), Axis Bank (2.67%), Mahindra and Mahindra (2.52%), Vedanta Ltd (2.25%) and HUL (1.90%). Top Sensex losers were Infosys (1.56%), HDFC Bank (1.41%) and L&T 1.19%. On the Nifty, top gainers were Bharti Airtel (5.68%), ICICI Bank (4.88%, SBI (3.40%) and Axis Bank (2.85%). Top Nifty losers were HDFC Bank (1.70%), Infosys (1.63%), HCL Technologies (1.61%) , HDFC (1.53%) and Bajaj Finance (1.46%). The ICICI Bank stock rose over 4.5 per cent today even as the lender posted its maiden quarterly loss in more than a decade for the quarter ended June. Posting its maiden quarterly loss in more than a decade, ICICI Bank reported a net loss of Rs 119.5 crore on higher provisioning for bad loans. However, on a consolidated basis, ICICI Group posted a meagre profit of Rs 4.93 crore, compared to Rs 2,604.73 crore a year ago. VK Sharma, head Private Client Group and Capital Market Strategy at HDFC Securities said, "The Nifty scaled yet another new high as short covering continued this week as well with the benchmark adding 41 points or 0.37% at 11,320. The street ramped up PSU Bank stocks and the industry facing private sector banks after results from Bank of Baroda and ICICI bank enthused investors. With the central banks meeting lined up this week including the RBI , the Nifty is likely to consolidate. The Bank Nifty did better than the broader benchmark. The most positive development, however, was the advances outnumbering declines for the sixth day on the trot, a phenomenon, which the markets have not seen earlier in 2018." Banking stocks led the rally with the BSE bankex rising to 31177 level intra day. The index closed 401 points or 1.30% higher at 31144 level. Bank Nifty too rose 0.75% or 208 points to 27,842 level. It hit a high of 27,873 intra day. The auto sector also contributed to the rally with BSE auto rising 0.49% or 119 points to 24,388 level. The index hit an intra day high of 24,433. The Reliance Industries stock hit a fresh all-time high after the conglomerate announced its record Q1 earnings. The stock closed 1.78% or 20 points higher at 1,149 level on BSE. The stock hit an intra day high of 1,157.55 after opening at 1,136 level on the BSE. The stock has gained 2.26% during the last two sessions. Market breadth was positive with 1615 stocks closing higher compared with 1038 stocks falling on the BSE. 193 stocks were unchanged. Last week, the Sensex recorded a significant rise of 840.48 points, or 2.30 per cent while the Nifty gained 268.15 points, or 2.44 per cent. On July 27, FIIs pumped in Rs 738.05 crore into Indian markets. DIIs infused Rs 406.12 crore into Indian market. World markets slipped on Monday as steep losses by US technology stocks and a weakening Chinese Yuan shook confidence in overall growth. Germany's DAX fell 0.3 percent in early trading to 12,824.32 while France's CAC 40 was down 0.4 percent at 5,490.90. Britain's FTSE 100 dropped 0.2 percent to 7,683.99. Futures pointed to small losses on Wall Street, with the contract for Dow futures down 0.1 percent at 25,400.00 and S&P 500 futures also 0.1 percent lower at 2,813.90. Japan's Nikkei 225 index dropped 0.7 percent to 22,544.84 and South Korea's Kospi edged 0.1 percent lower to 2,293.51. The Shanghai Composite index slipped 0.2 percent to 2,869.05 and Hong Kong's Hang Seng index lost 0.3 percent to 28,733.13. Australia's S&P ASX 200 gave up 0.4 percent to 6,278.40. Shares gained in Indonesia but were lower in Taiwan and Singapore.